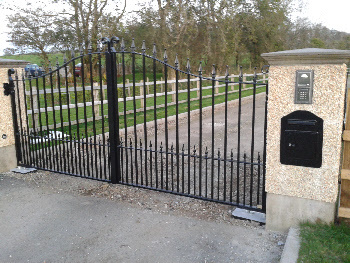 Kyle Martin Engineering is one of the Provence's leading manufacturers and installers of high quality gates, railings and access control systems. We pride ourselves on our high customer satisfaction rating and high recommendation rate. We supply and install top quality gate automation and intercom systems using high quality products from the UK'S leading suppliers. We are confident we can supply a complete service at a very competitive price. We offer services to both domestic and commercial customers and we believe our after sale service is second to none. Please feel free to browse our web site and contact us with any query you may have.